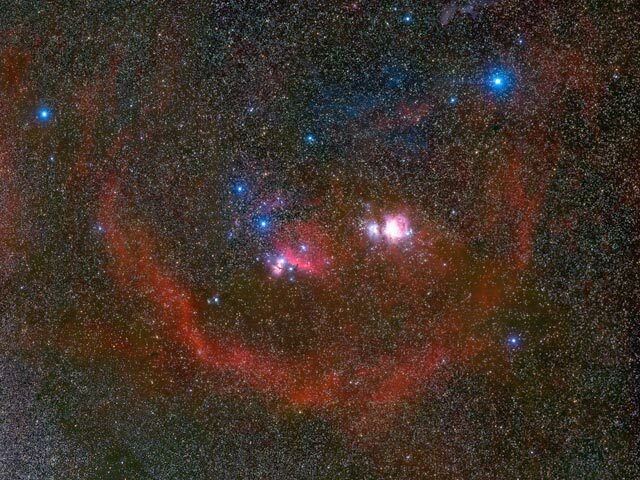 Explanation: Why is the belt of Orion surrounded by a bubble? Although glowing like an emission nebula, the origin of the bubble, known as Barnard's Loop, is currently unknown. Progenitor hypotheses include the winds from bright Orion stars and the supernovas of stars long gone. Barnard's Loop is too faint to be identified with the unaided eye. The nebula was discovered only in 1895 by E. E. Barnard on long duration film exposures. 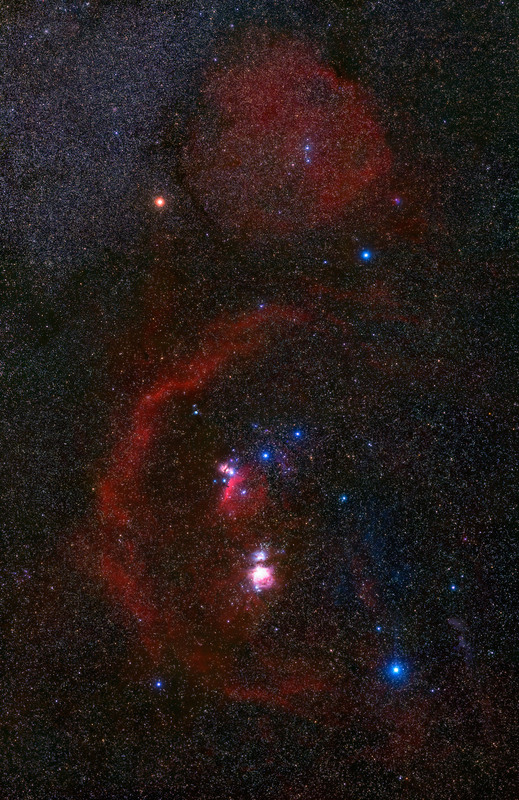 Orion's belt is seen as the three bright stars across the center of the image, the upper two noticeably blue. Just to the right of the lowest star in Orion's belt is a slight indentation in an emission nebula that, when seen at higher magnification, resolves into the Horsehead Nebula. To the right of the belt stars is the bright, famous, and photogenic Orion Nebula.